The first time I saw Josh was on the Tonight Show. He just blew me away. I couldn't believe that voice of his. It is so wonderful and rich. I just love everything about him. I almost got to see him at this PBS concert, but I couldn't make travel arrangements. I was so sad after that. I hope he goes on tour soon. 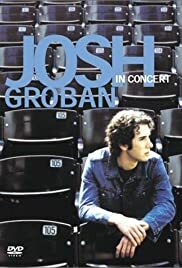 I loved this concert footage, and all the behind the scenes footage that is on the DVD. His performance is wonderful. He will be huge (bigger than he is now) one day, and I will follow him the entire way. I love you Josh. Keep up the good work.